Today was my friend Amy's birthday. Amy still lives in Texas, and I miss her every day, though I only tell her this perhaps every few weeks. 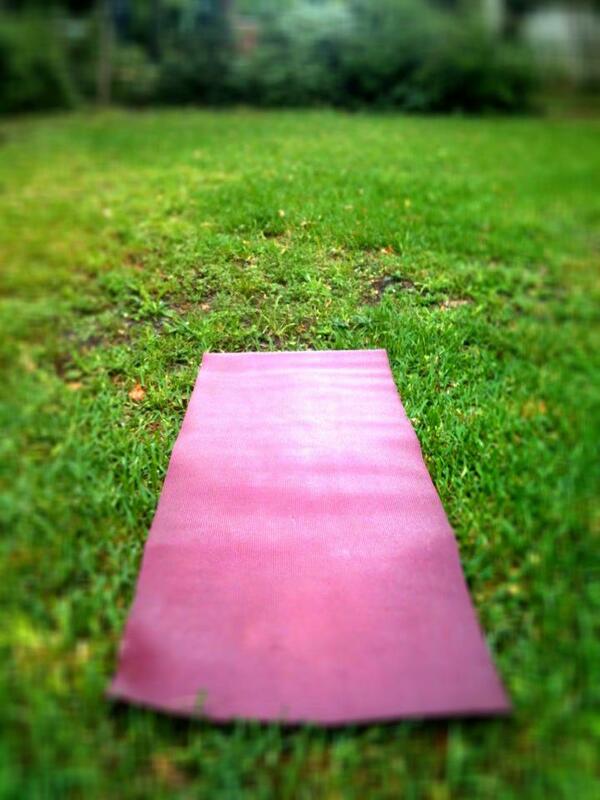 This morning, at 6:26AM Central Time, I unrolled my yoga mat in my backyard. In Texas, on a pier in Galveston, Amy did the same. Together, we completed 34 sun salutations (plus one to grow on) as a way to quietly celebrate her birthday. We did the same thing last year, except it was a big group of us - a group that was, for the most part, was about to disperse to new homes and new adventures, myself included. Today, even though I was alone in the grass, I still felt like I was a part of that precious group. It was a beautiful way to start the day, and it's left me wanting to be a better friend every day. I talk a lot about friendship - the people I treasure, the ones I miss. But when it comes down to the actual work of keeping in touch with those friends, I've got a long way to go. Facebook posts, wildly belated birthday gifts, and one email every six months are poor examples of my devotion. I can do better. I want to do better. I want to be one of those friends who sends you a card out of the blue, who helps you move in the middle of the week, who brings you dinner after you have a baby or when you dog dies, who sends you flowers just because. And I want to do these things not when they're convenient, but when they're needed. Friendship is important - it's community, it's family, it's knowing we have each other to help us get through the hard times and celebrate the happy ones. When you think about it, friendship is pretty much everything, and it's about time I started treating it that way. All of this because of a few sun salutations and a yoga mat in the grass. Life is the best.